This article was originally published in the April edition of the Shout NZ Magazine. In the Pantheon of beer styles there is perhaps no one style more synonymous with the word “beer” than Pilsner. Pilsner is a blonde lager that gets its name from the Bohemian city of Pilsen, where it was first produced in 1842 by Pilsner Urquell. 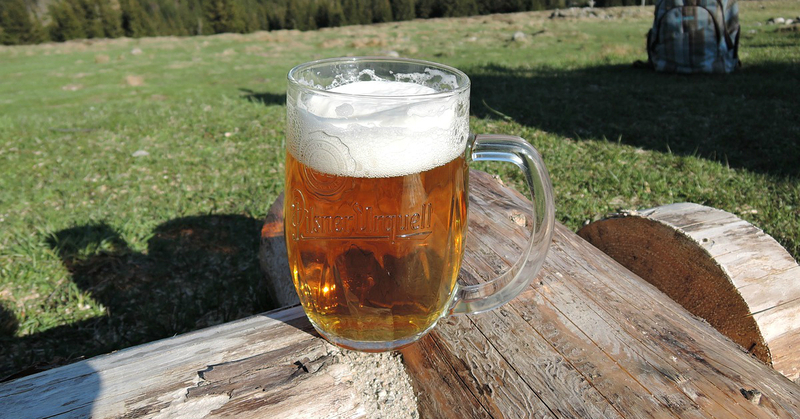 Pilsner is a sub-style of the greater beer category known as “lager”. Lagers are distinct from ales in that they are produced using a completely different species of yeast known as Saccharomyces Pastorianus. These bottom-fermenting lager yeast strains are believed to have evolved in cold Bavarian caves, and as such, they are far more tolerant to cold temperatures than Ale yeast strains are. The suppressive effects of the cold temperatures typically used to brew a lager (coupled with their longer aging times) results in a cleaner flavour profile than you might otherwise find in an ale. However, Pilsner was by no means the first lager. In fact it’s believed that these hybrid lager yeast strains first began appearing in beer as early as the 15th century. However, the wood-fired malting practices of the time were such that the malted barley used to make nearly all styles of beer (including lager) produced much darker beers. That is until the English pioneered new coke-fired malting techniques that resulted in paler (and more efficient) malt. All of this would auspiciously come together when the Pilsen Brewery recruited Bavarian brewer Josef Groll. Groll combined Bavarian lager yeast, pale English-style malt, Czech Saaz Hops, and Pilsen’s remarkably soft water to create the first Pilsner. Fast forward nearly two hundred years and Pilsner (or at least beers that call themselves Pilsner) have become the world’s most popular beer style. While they may not be quintessential examples of the Pilsner-style, Corona, Heineken, Coors, Beck’s, and most of the world’s most popular macro-lager’s can all trace their roots back to Pilsner Urquell. Even the world famous Budweiser is named after the town of Budějovice (Budweis in German). Brewery founder, Adolphus Busch, “borrowed” the recipe from the Czech town, which is located less than two hours away from Pilsen. Despite its Czech origins, there are now a number of other well recognized and highly regarded versions of the Pilsner style. These different interpretation have evolved as brewers from around the world have attempted to brew this popular beer style using their own locally grown ingredients, unique water profiles, and brewing traditions. Let us take a look at four internationally recognized interpretations of the style. The original example of the style, Czech Pilsners are rich and characterful beers that balance a complex bready maltiness against soft floral and spicy hop flavours. Compared to a standard “American Lager” such as Budweiser, a Czech Pilsner is loaded with flavour, while still being a highly drinkable beer. A Czech Pilsner can be balanced towards either the malt or the hops, but is never overly assertive in either direction. They tend to have a long, rounded finish due to the soft water in the region which serves to enhance their overall drinkability. While there are quite a few Czech Pilsners on the market such as Bernard Svátecní ležák, Gambrinus Premium, and Kout na Šumave Koutská 12°, it is the aforementioned Pilsner Urquell that perhaps best exemplifies the style, if for no other reason that it is the original. For a delicious example of a Czech Pilsner brewed here in New Zealand try Garage Project’s humbly titled, “Beer”; one of this author’s personal favourites. More commonly referred to as a “Pils” in Germany (to differentiate it from the Czech Pilsner), the German Pils is essentially a German interpretation of the style that is simply brewed using German ingredients and brewing techniques. One of the most definitive characteristics of the German Pilsner is its crisp, dry finish; a result of Germany’s harder water, particularly in the North. This higher mineral content of the water tends to accentuate hop bitterness, and brings out the more grainy qualities of the malt as compared to the smoother bready qualities of a Czech Pilsner. Classic commercial examples of a German Pilsner include Bitburger, König Pilsener, Paulaner Premium Pils, and many more. For a locally brewed German Pilsner it’s worth seeking out Tiamana Brewing Company’s (Tiamana is Maori for German) “Pilski”; a shining example of the traditional Berliner Pilsner. Despite Budweiser (and other American macro-lagers) being originally brewed to emulate traditional Pilsners, these beers have been so dumbed-down over the generations as to no longer be officially classed as Pilsners. However, there is a well-documented historical style known as “American Pilsner” (Aka, “Pre-Prohibition Lager”) that (though rare) is still produced to this day. American Pilsners were originally brewed by German immigrant brewers who brought the process and yeast with them to the United States. But once more, the different barley, hops, water, and conditions led to a distinctly American version of the style. One of the most distinct differences between an American Pilsner and its European counterpart is the use of 6 Row Barley (which has far more protein then the more common 2 Row Barley). Often a large percentage of corn or rice (20% – 30%) was used to dilute the high protein levels. The result was a clean, grainy beer, with a sweet corn flavour which is balanced against a moderately high level of bitterness. The style died out as a result of the American prohibition on alcohol in the 1920s, but was brought back by homebrewers and a handful of professional brewers in recent years. All but impossible to find in New Zealand, most examples are available as brew pub specials in the United States. Your best shot is probably to keep an eye out for a bottle of Anchor Brewing Company’s ”California Lager” which is sometimes available through online retailers such as BeerCellar.co.nz. As New Zealand’s reputation as a respected beer nation has grown in recent years (largely due to the popularity of our hops), the “New Zealand Pilsner” has risen in prominence and become an internationally recognized version of the style (at least amongst homebrewers and beer aficionados). It’s perhaps one of the more unique interpretations at the Pilsner Style. New Zealand Pilsner’s have a fairly neutral malt profile and lean more to the softer qualities of a Czech Pilsner. While the amount of hop bitterness is also on par with a Czech Pilsner, the hop flavours and aromas are distinctly Kiwi. Instead of the herbal/spicy/floral qualities of the Czech and German Noble Hops used in other examples of the style, a New Zealand Pilsner uses local varieties known for their tropical fruit flavours and aromas, such as Nelson Sauvin, Motueka, and Riwaka. The original New Zealand Pilsner is said to be Emerson’s much-loved “NZ Pilsner”. First produced in 2000, the beer showcases Nelson grown Riwaka hops and exudes overt citrus and passionfruit flavours and aromas. Many other Kiwi brewers have since followed suit, and now New Zealand Pilsner can be found in bars and bottle shops throughout the country.